Easily locate cables and pipes with pinpoint accuracy. The complexity of large underground utilities networks continually increase, therefor obtaining precise information on the location of specific buried cables and pipes has never been so important. To protect buried assets during ground excavation work and supporting the mapping and surveying of these existing utilities. Sonel LKZ-2000 system has a unique flexible operating modes to help you easily decide the right mode for your location application for the site conditions. 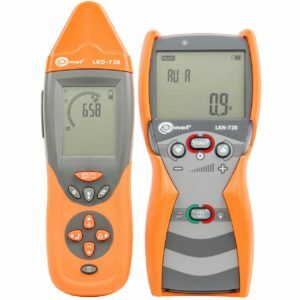 The intelligent utility locator monitors the signal interference levels in all available modes and recommends which to use for the best results. Saving you time and giving you increased confidence in your results. Application for Sonel LKZ-2000 - the best system for most challenging conditions! Tracing and locating large bundled cables, such as fibre optic cables, can be difficult and time consuming. Sonel LKZ systems high frequency modes are ideally suited for these types odd cables, helping to improve your productivity and locating reliability of all cable types. The A-Frame accessory can be used to easily locate cable sheath faults. 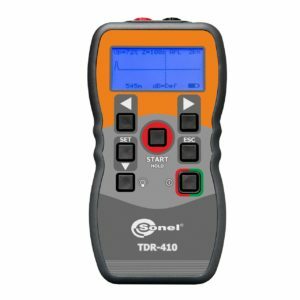 TDR-420 is a hand held Time Domain Reflectometer designed to locate and identify faults in power, telecommunications and data cables. Specifically made for, electrical wholesalers, cable dealers, electrical installation companies, maintenance personnel at manufacturing plants and building personnel. 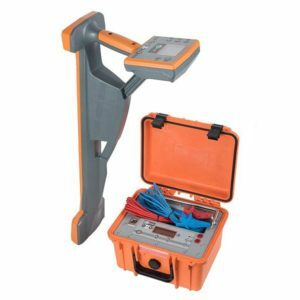 This TDR-420 reflectometer allows you to measure the length of a cable as well as determine the distance to damage or impedance variation in conductors with metal wires in the range of 0.6 m -6000 m. With a measuring shortest range selected at 7 meters and a dead zone of 0.6 meters allows to locate damages at a very close distance from the place where the device is connected. tight and durable housing with IP67 ingress protection degree. Detect and trace cables in ceilings, walls and floors with the LKO-720 specially designed 3D antenna for precise wire tracing and determine of direction of wires in concrete up to 5 cm becomes a breeze. locate and identify sockets and switches in live or dead (no current) circuits. Identify fuses on the distribution board with a precise sensor and additional contact and non-contact probes, identifying breakers and fuses will be easily and save time. current, allows to uniquely identify wire or cable from a current signal. trace cables in metal ducts. 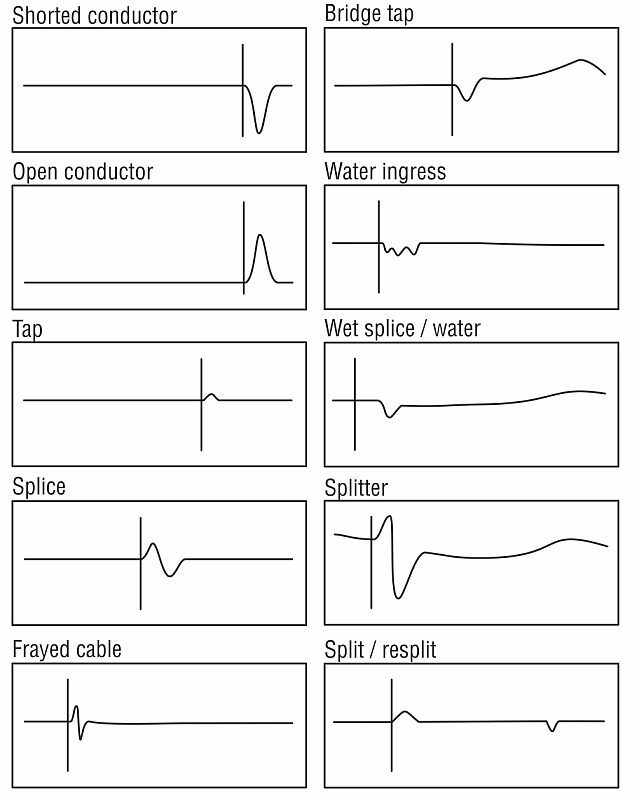 Trace conductive water and heating pipelines. additional accessories enable precise localisation - such as contact or non-contact probes and measurement clamp. TDR-410 time-domain reflectometers are designed to detect location of faults in metal wires. 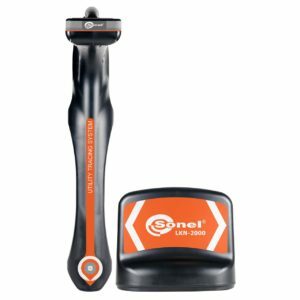 These products are designed for electrical wholesalers, cable dealers, electrical installation companies, maintenance personnel at manufacturing plants and building personnel. Extended battery life of 30 hours of continuously scan on one battery set.